Specification tests, part tests, dimensional inspection or process control are some of the numerous ranges of application for inductive and digital transducers. These applications have something in common: The test items must be measured and processed fast, safely and precisely. Nonetheless, the requirements of such measurements often vary. This is why ADDI-DATA offers different solutions for processing inductive and digital transducers in rough industrial environments. All solutions are available in the long term and therefore secure your investment. 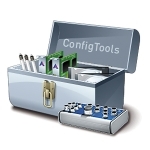 The software ConfigTools assists you in administrating and configuring the intelligent Ethernet systems of the MSX-E series. It is, for example, possible to scan the systems present on the network, modify the IP address, update the firmware or access the web interface to parameterise the system.